If you own an oak barrel, and more importantly, if you are using it to flavor and age your own spirits, then you need the items from our cleaning and maintenance section. Its just a simple fact. If you are aging spirits, you will eventually need to clean your barrel, especially if you are using one oak barrel to age multiple flavors. You would not want to compromise any of your brews, would you? Of course not! And with our total care kits, cleaning and caring for your oak barrel is a breeze - a cool, refreshing breeze that prolongs the life of your oak barrel and ensures that your spirits are not cross-contaminated by any other previously used flavors. And not only do we have a total care kit that is perfect for all of our oak barrels, but we also carry a series of replacement bungs and replacement spigots for our oak barrels, to ensure that even if you lose or damage a piece of your own oak barrel, you can find a replacement without having to replace the whole oak barrel. If you are interested in aging your own spirits and liquors, or if you already are doing so, then check out our oak barrel cleaning and maintenance section. It is the only right choice, considering that any other option could result in a terrifying mystery-brew that tastes like everything and nothing, all at once. 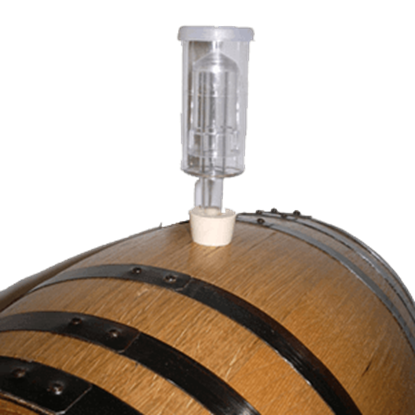 The airlock system is used to prevent beer or wine contamination by allowing carbon dioxide gas to escape from the barrel but preventing oxygen from entering the barrel. The 3 piece design is great for easy cleaning. This is a replacement bung for any of our oak barrels. 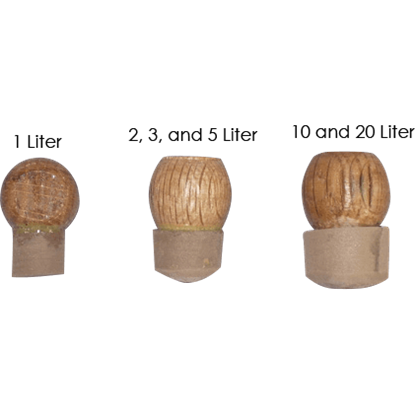 The bung is the closure piece for the barrel, just like a cork. However it is not made out of cork! The replacement bungs are made out of wood and have leather wrapping. This is a replacement spigot for any of our oak barrels. 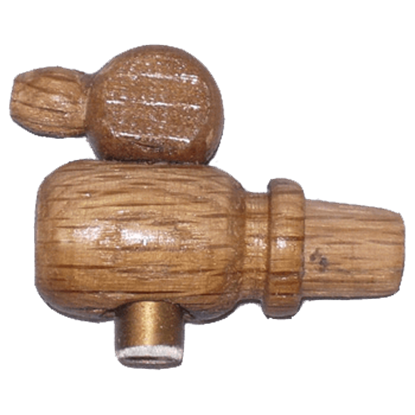 The replacement spigots are made out of wood and have a brass fitting. We offer replacement spigots for all size barrels, 1 Liter, 2 Liter, 3 Liter, 5 Liter and 10 Liter. Everything you need to clean and maintain your barrel. 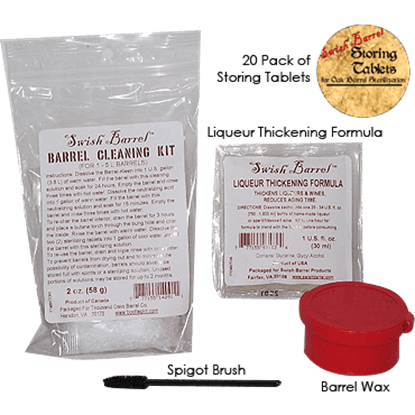 The kit includes barrel cleaning solutions, liqueur thickening formula, a spigot cleaning brush, barrel wax, and 20 storing tablets. It is a must have for maintaining a clean barrel.